All refunds will be made within 24 hours of receipt of cancellation - no questions asked! Our refund policy does not apply to any additional items or services, this includes but not limited to Domain Registration, Domain Parking services, dedicated servers, virtual private servers and overage fees. 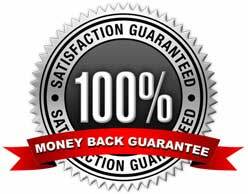 Any accounts terminated by Glovio.net for for violating our Terms Of Service do not qualify for the 30-day money back guarantee. For example, if your account is cancelled due to spamming, you will not be refunded.